Home / Misc. 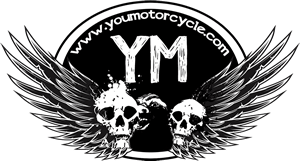 / Latest News / YouMotorcycle Turns Five Years Old! In 2009 two blossoming motorcycle websites made an impression on me. One was Jasper Bram’s Helmet Hair Blog. The other was Trent Reker’s bikerMetric. Bram always seemed to have his finger on the pulse of exactly what was cool, trending, and about to go viral in the online motorcycling world. 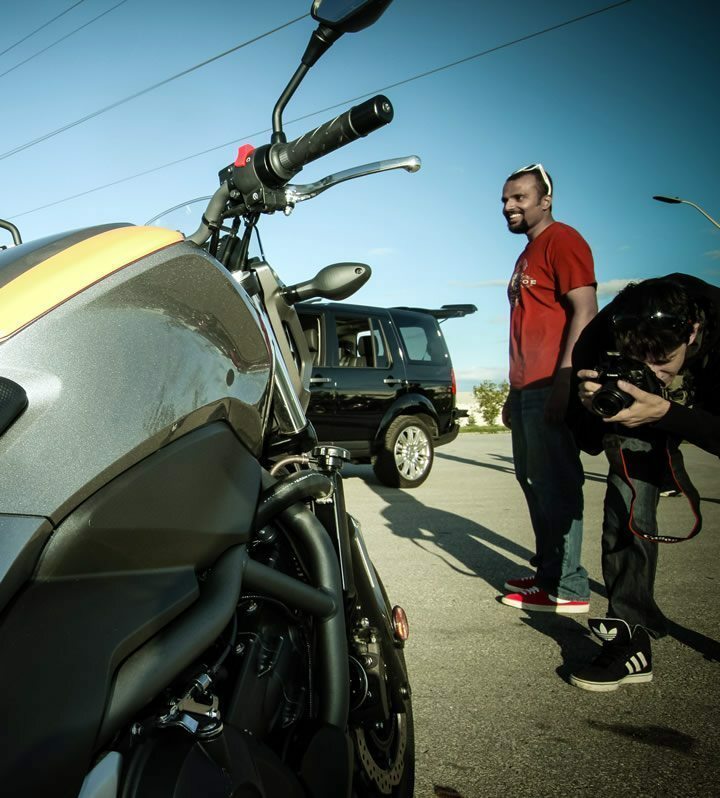 Reker was out finding the hottest custom metric motorcycles and using his experience as a professional graphic designer to just make everything look damn good. As far as I was concerned, these two charismatic keyboard-jockey riders set the stage for what a good motorcycle website should be. 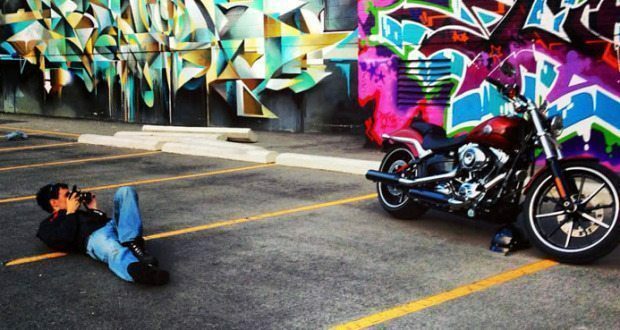 Adrian getting down and dirty snapping shots of the (new at the time) Harley-Davidson Breakout. 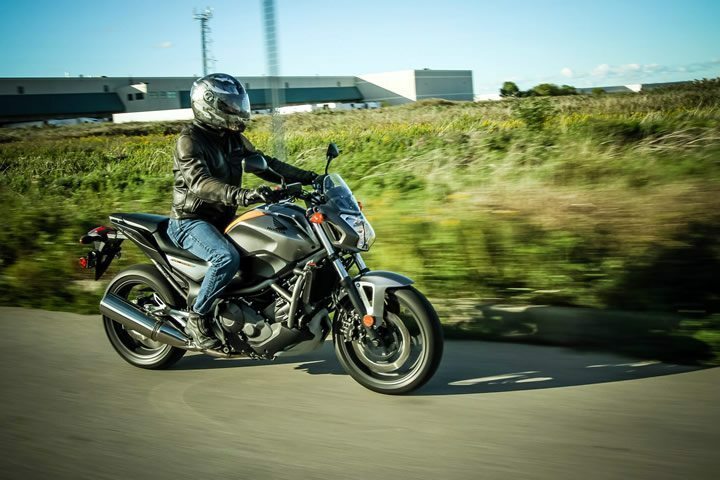 The idea behind YouMotorcycle was to inform, educate, and entertain motorcyclists. I wanted a website that motorcyclists like my friends and myself would want to read and follow. I wanted it to be always showcasing the next cool thing, like Bram. I wanted the posts to always look great, like Reker’s. 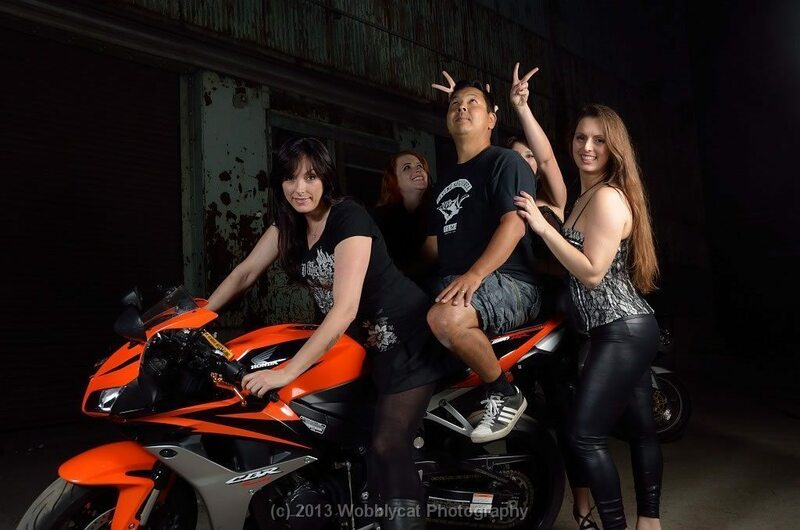 YouMotorcycle site has showcased some amazing men and phenomenal women motorcyclists. We’ve educated and entertained riders by the hundreds of thousands. We have roughly 25,000 motorcyclists checking us out every month and we’re on the cusp of serving up our millionth page view. Mondo Lulu on a (new at the time) Honda NC700. Pic by Adrian (kinda, sorta). I want to thank all of the people who’ve contributed to YouMotorcycle over the years: Happy Gilmore, Worth Cadenhead, Michael Scott, David Gulliver, Jefe Smith, and other one-off writers. There are also two friends of mine who keep the web site looking beautiful. 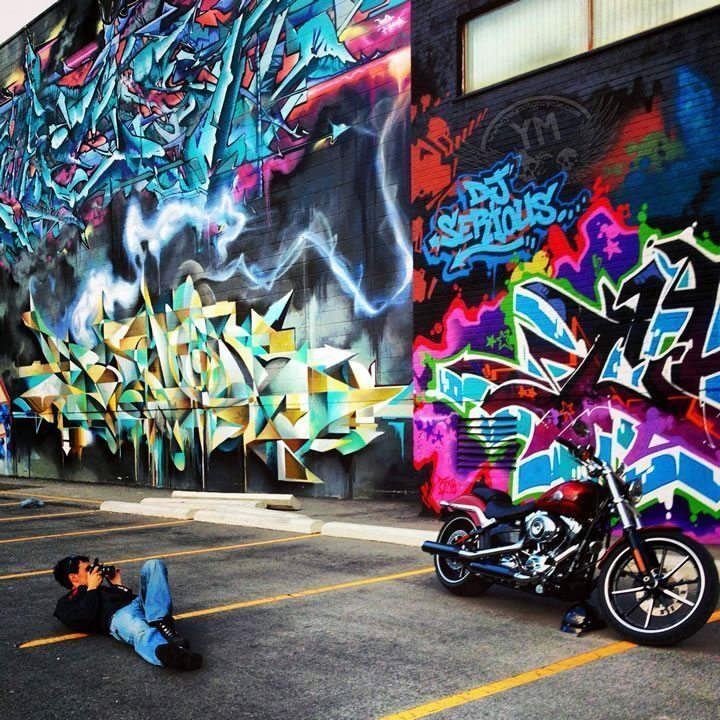 One is Mondo Lulu, he’s been supplying YouMotorcycle with epic motorcycle photography since day one. The other goes by the name Wobbly Cat, and we’ve worked on a couple really fun photo shoots together. A picture is worth a thousand words, and I couldn’t mention the contributors without also mentioning the photography talent these two bring. Yes, this page is a mash up of pictures and styles, but you get it, it’s a bunch of shots from the past 5 years tossed into the salad spinner! “G” and Danielle Gnidec doing an oversplit across two motorcycles. Custom Ironhead by Mark Gornik. Adrian’s stock Boulevard M50. Pic by Wobbly Cat. Wobbly Cat and the Girls. Pic by Adrian (kinda, sorta). In addition to performers, a movie director, motorcycle industry chiefs, models, and a championship racer, we’ve received a lot of support from sponsors and businesses. A big thank you to AMPP, Lovebone Apparel, Fuse Plus You, Motorcycle House, Viking Bags, KYMCO Canada, Studio Cycle Group, Deeley Harley-Davidson, Alpine Motosafe, Kaufmann-Mercantile, Kimpex, Best Western, Liberty Sport Eyeware, Motor Scooter Guide and Watch Parts Motorcycles. Kanishka Sonnadara and Adrian at an impromptu photo shoot. Pic by Mondo Lulu. Last but not least there are the people that I continue to draw inspiration from every single week: Fuzzygalore, Kanishka Sonnadara, Martin Van Der Staay and the rest of the Motorcycle Mojo crew, Mike Werner, and Liz Jansen. The site isn’t the only thing to have grown over the past five years. When it was really beginning to take off I was living in my first apartment in a basement that belonged to my ex-girlfriend’s mother. It was always damp and always cold. The only meal I knew how to cook was breakfast. Now I’m a home owner with a two car garage, three bikes and a car, and the same old BikerPup. The single greatest kiss on a motorcycle ever captured in the history of man. 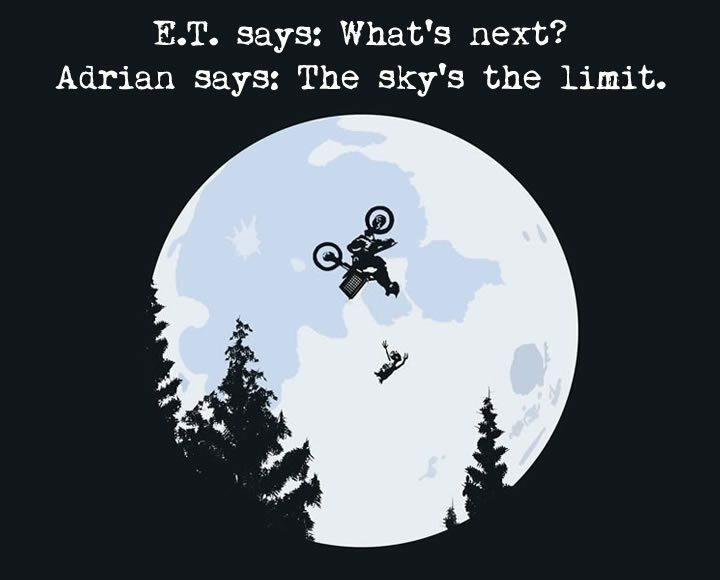 “G” and Adrian. Pic by Wobbly Cat. My very last shout out is a thank you to you, the readers and social media followers. Thank you for being here, thank you for always coming back for more. Most importantly though, thank you for loving motorcycling. Let’s all agree to keep on loving motorcycling, and maybe even each other, alright? Ride on brothers and sisters, and thank you.